To find out more about NUAST's Admission Arrangements you can download our Admissions Policy by clicking on the arrow icon to the right of this text. To find out how to apply to NUAST for Year 10 entry and Year 12 entry please click on the icon with the linked chain which will take you to our 'How to Apply' page. If you have any queries regarding Admissions please contact the Academy reception in the first instance. To find out more about NUAST's Admission Arrangements for 2020 you can download our Admissions Policy by clicking on the arrow icon to the right of this text. NUAST was inspected by Ofsted in July 2017. A copy of the report can be found by clicking on the web link. Provisional results information from DfE gives a progress 8 score of 0.02. Provisional results information from DfE gives a attainment 8 score of 51. Provisional results information from DfE gives a English/maths basic score of 51%. As a specialist STEM academy students are not obliged to follow the EBACC pathway. 3% of students entered the English Baccalaureate. 2014-2016: 80% of students remained in education or entered employment. The English and maths progress figure is 50%. Academic value added score 0.51. Average point score per academic entry as a grade C+. Average point score per academic entry 36.6. % of students achieving AAB or higher with two facilitating subjects 28%. Average points per A level expressed as a grade - B-. Average points per A level in best three A levels - 32.14. Average point score per academic entry as a grade B-. Please follow the link to access the DfE performance tables for NUAST. NUAST provides a unique STEM focused curriculum offer for Year 7 students. For more detailed information on the curriculum, click on the Arrow Icon on the right to download the Year 7 Prospectus or on the Chain Icon to be directed to our curriculum page of the website. Below is a brief summary of our offer. NUAST provides a unique STEM focused curriculum offer for Year 10 and Year 11 students. For more detailed information on the curriculum, click on the Arrow Icon on the right to download the Year 10 Prospectus or on the Chain Icon to be directed to our curriculum page of the website. Below is a brief summary of our offer. In addition, all students will then follow one of two specialist pathways options. Within these pathway options they will complete a minimum of two GCSE equivalent qualifications. All students will also have weekly enrichment sessions. NUAST also provides a STEM focused curriculum offer for Year 12 and Year 13 students. For more detailed information on the curriculum, click on the Arrow Icon on the right to download the Year 12 Prospectus or on the Chain Icon to be directed to our curriculum page of the website. Below is a brief summary of our offer. A Cambridge National Level 3 ICT/Computing Qualification (2 A level equivalent) plus A level computing. In addition, students are offered the Extended Project Qualification (EPQ) which carries UCAS points and equips students with the rigorous research skills, so critical in today’s job market. These values underpin the work of students and staff in everything they do, each and every day. We believe learning should be active, focussed and engaging. We insist on high standards of behaviour at all times. We will support staff and students to engage in effective teaching and learning. We will underpin our curriculum with exposure to employment and higher education to raise aspiration within our student body. NUAST is committed to providing high quality education. This means promoting positive attitudes and behaviour so that students can develop their abilities and interests and achieve their full potential. There is an inextricable link between behaviour and achievement. It is, therefore, essential that the academy promotes good behaviour and challenges unacceptable behaviour. This is a basic expectation that must underpin the daily work of the NUAST. NUAST's Safeguarding and Child Protection Policy set out guidelines to ensure that the rights of children are protected through staff awareness of the issues and the following of statutory and local guidelines in the reporting of concerns. Children and young people are defined as those under the age of 18 years. The Board of Directors of NUAST accepts that all of their employees, students and visitors are entitled to a safe and healthy environment in which to work. With this in mind the Board, Management and Staff will take appropriate steps to meets its statutory requirements use recognised codes of practice and guidance notes to establish a safe and healthy environment. NUAST's Health and Safety Policy is written within the context of the Health and Safety at Work etc Act 1974, the Management of Health and Safety at Work Regulations 1999.
a. Providing and maintaining facilities, plant, equipment, systems and working conditions which are safe and without risk to the health of employees, visitors, contractors and the general public. Through this policy NUAST, seeks to effectively meet the first aid needs of staff, students and visitors, in particular supporting the Academy as a safe place to work, learn and engage. In accordance with regulations and guidance NUAST will ensure first aid provision appropriate to needs of its employees, students and visitors. The amount and type of first aid provision will be determined by risk assessment and reference to best practice including reference to the number of people usually on site. j. Provide information to the Academy’s senior leadership team so that services can be improved. NUAST aims to provide every child with access to a broad and balanced education, albeit specialist provision in science, engineering and information technology. This includes the National Curriculum, where relevant to this age group, in line with the Special Educational Needs Code of Practice 2014.
b. Monitor the progress of all students in order to aid the identification of those with SEND. Continuous monitoring of those students with SEND by their teachers will help to ensure that they are able to reach their full potential. c. Make appropriate provision to overcome all barriers to learning and ensure students with SEND and other Individual Needs have full access to the curriculum. This will be co-ordinated by the SENCo (Special Educational Needs Co-ordinator) and will be carefully monitored and regularly reviewed in order to ensure that individual targets are being met and all students’ needs are catered for. d. Work with parents to gain a better understanding of their child, and involve them in all stages of their child’s education. 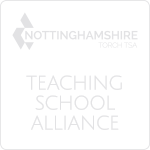 This includes supporting them in terms of understanding SEND procedures and practices, providing regular reports on their child’s progress, and providing information on the provisions for students within the Academy as a whole, and the effectiveness of this policy and the Academy’s SEND work. e. Work with and in support of outside agencies when the students’ needs cannot be met by the Academy alone. f. Create an environment in the Academy where students feel safe to voice their opinions of their own needs. This means providing regular one to one meetings between students and their teacher/Special Educational Needs Coordinator (SENCo) and will be made easier by carefully monitoring the progress of all students. Student participation is a right. This will be reflected in decision-making but also encouraged through wider opportunities for participation in Academy life such as membership of the School Council. 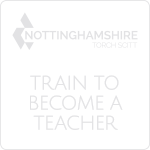 g. Provide ongoing training for all staff working with students with SEND/Individual Needs. One of the aims of the Freedom of Information Act 2000 is that public authorities, including all maintained schools and academies, should be clear and proactive about the information they will make public. c. Whether the information is available free of charge or on payment. The scheme covers information already published and information which is to be published in the future. Some information which NUAST holds may not be made public, for example personal information. NUAST's publication scheme conforms to the model scheme for schools approved by the Information Commissioner. Anyone can make a request in writing for recorded information held by or on behalf of the Academy, and the Academy must comply promptly, and in any case within 20 term-time days. Unless subject to one of the 23 exemptions described by the Act, the information must be supplied. The Board of Directors of NUAST recognises the valuable contribution that the wide range of additional activities, including trips, clubs and residential experiences can make towards students' education. NUAST aims to promote and provide such activities both as part of a broad and balanced curriculum for the students of the Academy and as additional optional activities. The law states that education provided during Academy hours must be free. This definition includes materials, equipment and transport provided in Academy hours by the Academy. No student may be left out of an activity because their parents/carers cannot or will not make a contribution of any kind. NUAST aims to make Academy activities accessible to students regardless of family income and to provide a process which allows activities to take place at a minimum cost to parents/carers, students and the Academy and which acknowledges the cost of such activities to the Academy’s budget. More general information on how we use Pupil Premium funding can be found by clicking on the Chain Icon to the right of this text. For a more detailed report on how we spent our Pupil Premium funding last year, you can download our Pupil Premium Report by clicking on the Arrow Icon to the right of this text. The Catch Up Premium is funding given to schools to provide additional support to Year 7 pupils that did not reach the ‘expected standard’ in Reading or Maths at the end of Year 6. Please see the document attached for details of this funding for students at NUAST, how it will be spent and the impact of this expenditure. 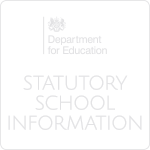 Every school and academy must report on how they are delivering their statutory legal requirements, as outlined in the Department for Education's 'SEND Code of Practice 2015'. This document is called the SEN Informatioon Report and can be downloaded by clicking on the Arrow Icon to the right of this text. For more information on this report please contact our Special Educational Needs Coordinator (SENCo) is Georgina Turgoose. Further details about our SEND provision can be found by visiting the Learning Support section of our website by clicking on the Chain Icon to the right of this text. NUAST is committed to providing a fully accessible environment which values and includes all students, staff, parents/carers and visitors regardless of their education, physical, sensory, social, spiritual, emotional and cultural needs. The Academy is committed to challenging negative attitudes about disability and accessibility and to developing a culture of awareness, tolerance and inclusion. Our Accessibility Plan has been drawn up in consultation with the students, parents/carers, staff and directors of the Academy and covers the period from September 2018-August 2021. The combined audit and plan for 2018 is available by clicking the Arrow Icon to the right of this text. NUAST is committed to the promotion of equality of opportunity and places great value on the diversity of its community. The provision of equality of opportunity and respect for the needs and rights of the individual are fundamental to the values of NUAST. NUAST fulfils its general and specific duties in relation to equality of opportunity and actively demonstrates due regard to the need to eliminate discrimination, advance equality of opportunity, and foster good relations between different people when carrying out their activities, in all strands as identified in the Equality Act 2010. • To improve the attendance of all students to 95% and reduce persistent absence to be in line with National figures. • To raise expectations amongst staff and students in order that 70% of young people on roll to make at least nationally expected progress each year in all core subjects. • To ensure that young people who are eligible for pupil premium (in receipt of free school meals in the last 6 years or are a child in care) have adequate support so that they attend school regularly and that the majority make Nationally expected progress that is at least commensurate with that made by their peers. • To improve communication with parents and carers who are marginalised by personal circumstances such as lack of transport or low confidence by liaising with them regularly and meeting with them at least twice a year. • To ensure that young people who attend NUAST have a voice through promotion of the student council and increased opportunities for wider student participation. Further information is available in the NUAST Equality Policy which is available by clicking the Arrow Icon to the right of this text. NUAST Careers Guidance statement can be found by clicking the document link. Included under business and pecuniary interests.